While in France we have learned about a new approach to environmental protection. It is done on the institutional level, with guidance from the local economy, and it’s international. 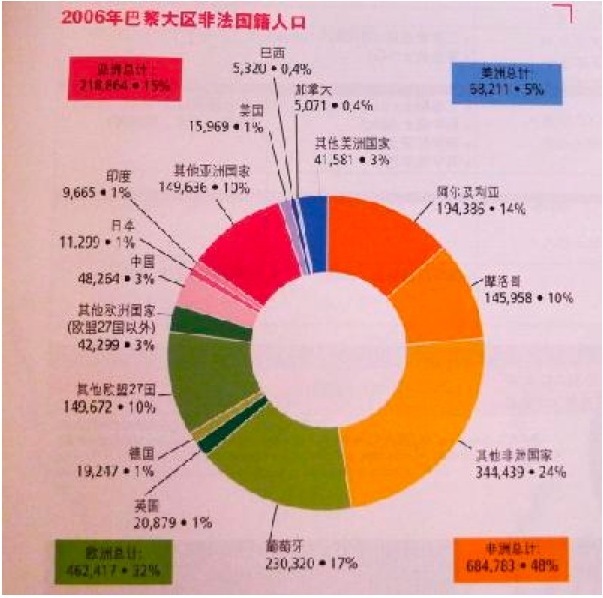 On October 25, 2011, delegates from Chinese environmental NGOs found the above pie chart in the brochures of the French Development Agency. The [high proportion of] non-French nationals represented in this chart depict Paris as a very international city. The internationalism of Paris has allowed the French Development Agency to implement construction projects in Africa, Asia and Latin America. Moreover, there are also differences between local policies for development projects around the world, and countries around the Mediterranean Sea also have special policies for development projects. Countries in Asia and Latin America are in favor of environmental protection projects. The Chinese NGOs’ visit with the French Development Agency took place right before Hu Jintao, the Chairman of the People's Republic of China, attended the G20 Summit in Cannes, France. China’s participation in the G20 Summit confirmed China’s important global role, and the saying “China will save Europe” has already spread throughout the world. At the same time as this, we are sitting in the French government office listening to how the French government is helping many developing countries, including an increasing number of assistance projects in China. Assessing the influence of different fields to the natural environment. The French government also aids Chinese environmental NGOs. The findings surprised all members of the eight different Chinese environmental NGOs. The French Development Agency did much preparation for the arrival of the Chinese NGOs. At the meeting, representatives from the French Development Agency gave detailed introductions of the many aspects of their work. Prevent further impact on the environment. There are three principles in the management process, which include respecting the social environment, following up after every project, and ensuring that public opinion reaches decision makers. Currently, the French Development Agency cooperates with three Chinese banks, and financial aid of environmental projects is implemented through the banks. These three banks are Shanghai Pudong Development Bank, Hua Xia Bank and China Merchants Bank. They have stove-building projects in Tianjin and Jinan. The agency has cooperated with local companies to make evaluations of the environmental impacts of said projects. The findings reflect that manufacturing stoves certainly carries an environmental impact. This form of financial aid aims to ensure that the manufacturing procedures fit with the local environmental requirements and at the same time ensures that the social environment will not be affected in the next two years. The French added that Chinese environmental laws are constructive and meaningful, but lacked application. I was surprised upon hearing this, since the attending delegates represented some of the most active NGOs in China. I asked why we’ve yet to hear about their work with local NGOs. They answered that we should go ask staff members in their China office. Knowing this, I felt a little disappointed. Of course, the introduction kept going. The French Development Agency has also included agriculture, forestry, biological diversity and sustainable development in agricultural regions. The annual investment of those areas is about 500 million Euro. The supporting targets in Africa and Asia include governments, private companies, banks, agricultural associations and NGOs. The final objective of their agricultural programs is output and farmers' income. The relationship between citizens and investors and the relationship between participants and each field are two things that we try to coordinate. We found that there were many developers buying lands in large areas in Africa, which greatly damaged the ecological situation in Africa. We need to help local farmers build their own sense of responsibility. During the past 15 years, the French Development Agency has made many successful experiments on no-till farming [aka conservation tillage] projects in Brazil. Now it is spreading its successful experiments around the world. Those successful experiments show that land can also produce sustainably. A no-till farming project has now also started cooperation with a university in Kunming. Regarding the forest, the French Development Agency had also carried out a project on protecting tropical forests in the Congo, and the project was mainly done by French private companies and local Congolese companies. The procedure also included the appraisal of local forest resources, making developing plans and renewing the developing plans annually. All of those plans should be applied to each tree in the forest. The French Development Agency has also signed a contract with local government and enterprises in the Congo. Third, cooperating with local departments. Through those activities, Congolese people would find a way to protect their forests. Beginning forest protection in one country after another, the phenomenon of deforestation can be ameliorated. As for biodiversity protection, we had projects in Yunnan province, and the environmental appraisal of those projects in Yunnan has now finished. The protection of biodiversity could be separated into two parts: ocean and land. Most of the marine animals are in danger at present. The French Development Agency has cooperated with local fishermen to develop the concept of sustainable development. We have also drafted a series of protection methods to land animals, and have made plans to ensure the correct development of land, animal and human commercial activities. We have a biological carbon sequestration project in a rural village in Yunnan province. At present, all European countries have banned the importing and planting of genetically modified products, which was an advantage as other countries are experimenting with genetically modified products for us European countries. We Chinese people at the meeting felt that this thing could also show the intelligence of European people. 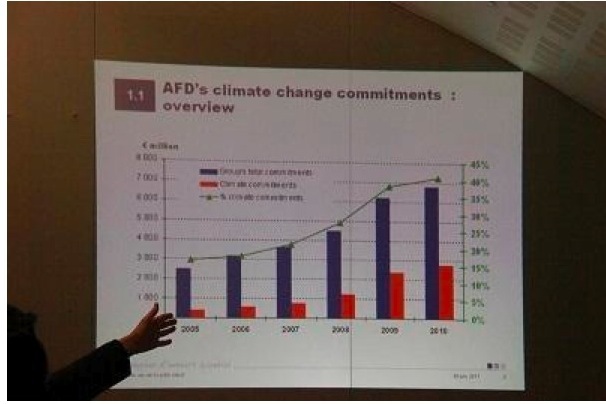 For climate change, the investment of the French Development Agency has increased from the years 2005 to 2010. As the French Development Agency, we have focused on policies and follow-up monitoring of climate change. We have also tried to use different ways to participate in negotiation on climate change, provide measuring methods for carbon tracing, and make projects appraisals. With so many international programs, where does the Development Agency of a country get its funding? This is a big problem for NGOs here in China. French people told us that there are two sources of funding for them—the government and the international financial market. Because of their creditworthiness, they can get loans with low interest. The conversation between the French Development Agency and China's NGO representatives kept going on. Assistance to certain programs is either done through loans or grant aid, such as its loan in emission reduction projects in India. We raised funds for banks, and they used that money to fund different projects. Our projects with Chinese banks are designed to improve staff members' sense of environmental protection, as well as help those staff members to estimate the impact those projects have had on the environment. The French cooperated with Chinese banks in ways of finding projects in China, cooperating with the headquarters, and final decisions were made by independent experts from France. The French Development Agency has a guiding bureau which decides on its use of funds. Its work includes communicating with NGOs around the world, and about 2% of all investments in foreign assistance is planned to give NGOs. Hearing about all those things, I proposed to the French Development Agency that they should work together with Chinese society to build an appraisal platform for environmental protection NGOs. There were projects for about a hundred million in China, but I was wondering how much money of the a hundred million would go to Chinaese NGOs. China should find a new mechanism to monitor the use of the money. There are 60 million Euro invested every year in enhancing basic infrastructure. The loans mainly go to government departments directly, and a small part of the loans go to companies. We often cooperate with a country to make a bidding document, and NGOs can also bid. In terms of investment projects, there are more Chinese enterprises applying for the bid, so it’s not skewed toward French enterprises. How can NGOs take part in these programs? For example for a sewage treatment program, first NGOs inform others of the basic information of the initiation of the programs, and then a survey is undertaken to clarify the needs of local people with regard to sewage treatment. NGOs can potentially participate in such surveys. There is an example of such a sewage treatment program in Tianjin. The investment on sewage treatment in China is very big right now; after that is public-oriented programs, such as awareness raising and training. These are the ones where NGOs win the bid. France has many sewage treatment projects in China, including Beijing. Some people are wondering what those projects are. 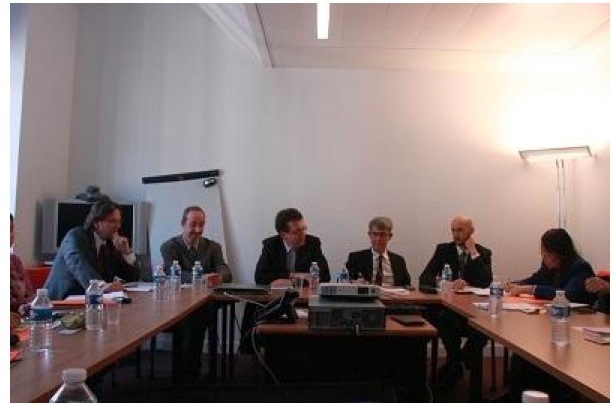 On the afternoon of October 26, representatives of China's environmental NGOs visited the French Ministry of Foreign Affairs, which was the inviting party of China's environmental NGOs to France. In the interview, leaders of the Cooperation Office of the French Ministry of Foreign Affairs told us that a cooperative relationship between China and France was established in 2007 on projects tackling climate change, and the two countries started to cooperate on urban construction in 2010. Moreover, we also had some cooperation projects with Wuhan and Changzhou in transportation and training. In Chongqing and Shenyang, we started our cooperation in housing, finance, taxation, environment, economics and garbage disposal. 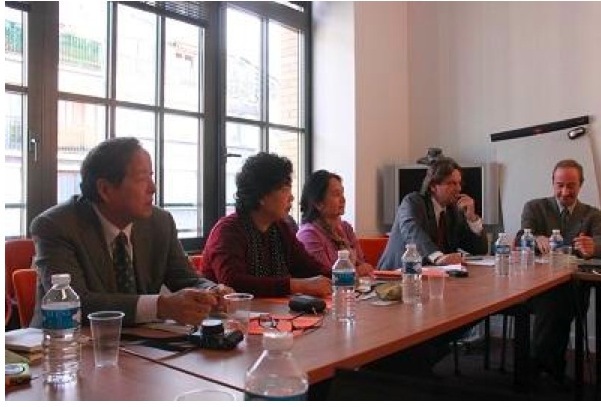 We set up a Middle European Study Institute and a Sino - French Research Center in Wuhan in Jan. 2011. We also had a "Smart City" project with Shanghai Tongji University. There are about 19 environmental projects where France and China are currently cooperating. The projects about water resources include ocean water protection, river protection and sewage treatment. The total project financing loan for China's environmental protection and climate change has reached 146 million in 2011. We have also heard that the French government in March 2012 will hold an International Water Forum in Marseilles to discuss how to share water resources. The forum is not of a professional type, and the goal is to work together to make promises and find out the solution to water resource issues. Officials from the French Ministry of Foreign Affairs agree the forum will be a good chance to tackle water resource issues. Europe is currently amidst a crisis. But no matter what kind of crisis comes up, its efforts to protect the environment will never change. All of society should take actions to protect the environment. All members should take their responsibility of environmental protection and work together to make our world more beautiful place to live in.